Contents: Foreword, Barry A.K. 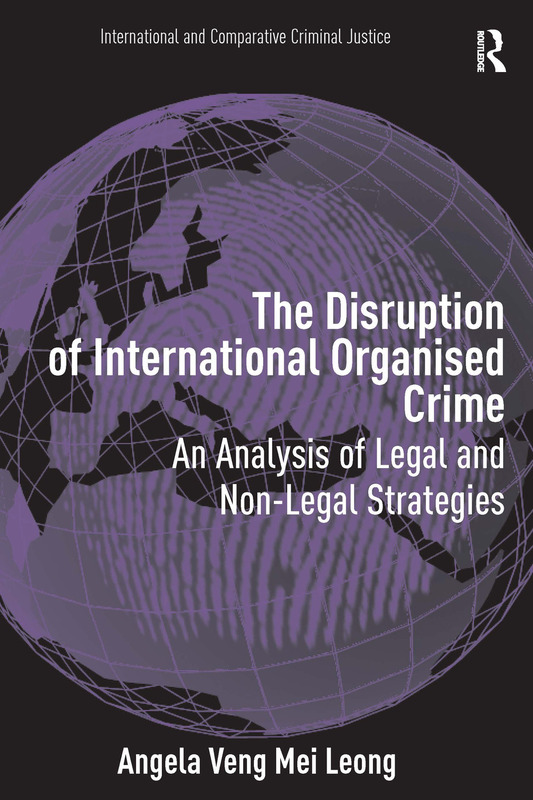 Rider; Preface; Introduction; Organised crime: definition and theoretical analysis; Criminal finance: money laundering and terrorist financing; Traditional law enforcement response to organised crime; Traditional legal response to organised crime; Controlling organised crime: the traditional criminal justice system; Controlling organised crime: the new perspectives; Legal implications and efficacy of 'disruption strategies'; Conclusions and policy implications: the way forward; Bibliography; Index. Dr Angela V. M. Leong, formerly a Researcher for the Treasury Select Committee, House of Commons and an Accredited Financial Investigator for the Assets Recovery Agency, is a frequent speaker on subjects relating to organised crime, money laundering, terrorist financing, economic and financial crime, civil recovery and confiscation legislation. She writes regularly for the Journal of Financial Crime, Journal of Money Laundering Control, The Company Lawyer and other publications. She is currently a Consultant to the European Commission AGIS Project on Organised Crime Infiltration and Insider Fraud. She is also an Associate Research Fellow at the Institute of Advanced Legal Studies, University of London; an Associate Fellow of the Centre for Criminology at the University of Hong Kong; an International Expert for the Hong Kong Civil Forfeiture Research Project funded by the Central Policy Unit of the Government of the Hong Kong Special Administrative Region; a Fellow and Adviser for the International Compliance Association; a Secretariat for the Cambridge International Symposium on Economic Crime at Jesus College, University of Cambridge, and a Member of the Institute of Professional Investigators.